Newell Nusbaumer, from Buffalo Rising, stopped by recently for a first look inside the Hydraulic Hearth Restaurant and Brewery. 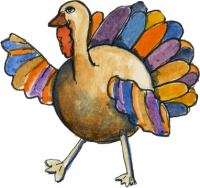 The Restaurant will be open Tuesday – Thursday 4:30pm – 7:30pm and Friday and Saturday, 4:30pm – 11pm . 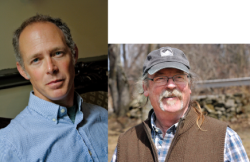 On Monday, the 17th, they will be open for a special edition of the Larkin Square Author series at 7 pm. See an earlier Blog post on this talk. Click here to take a tour through the Restaurant courtesy of Buffalo Rising! UPDATE: DUE TO STORM. 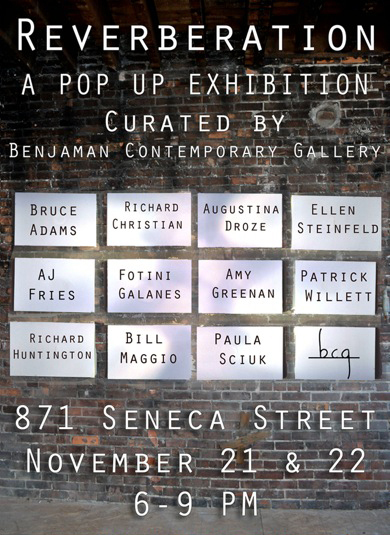 LOCATION CHANGED TO HI TEMP AT 79 PERRY ST, BUFFALO We’re excited to host the opening of Reverberation: Raw Space Re-invented, a pop-up exhibition put on by Benjaman Art Gallery. This event will be held at 871 Seneca Street, a small house we’re rehabbing, and the perfect, complimentary space for this raw exhibition. 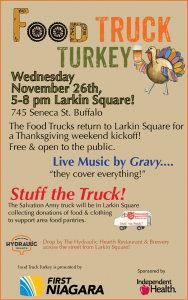 Food Truck Turkey is almost here! 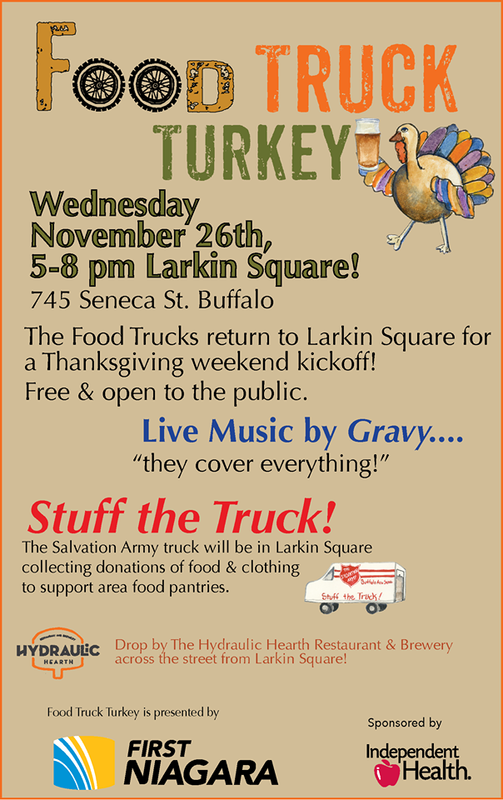 Join us for the First Annual Food Truck Turkey- an event that takes a wild spin on the traditional Thanksgiving! 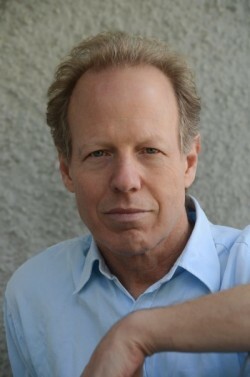 We are pleased to welcome writer Josh Horwitz to the Larkin Square Author series on Wednesday, November 5th. Josh is coming to Buffalo from Washington DC.